Fun and silly stuff from around the 'tubes. I was photographing a coyote here in Yellowstone and I followed it into the woods about 300yds away from the road. As I am taking pictures of the coyote, I heard twigs breaking behind me, and as I turned around I saw it was a grizzly bear. I picked up the tripod [...] and slowly started to back away. The bear got closer and closer as I tried to back up. When the bear got to within 20 yds. 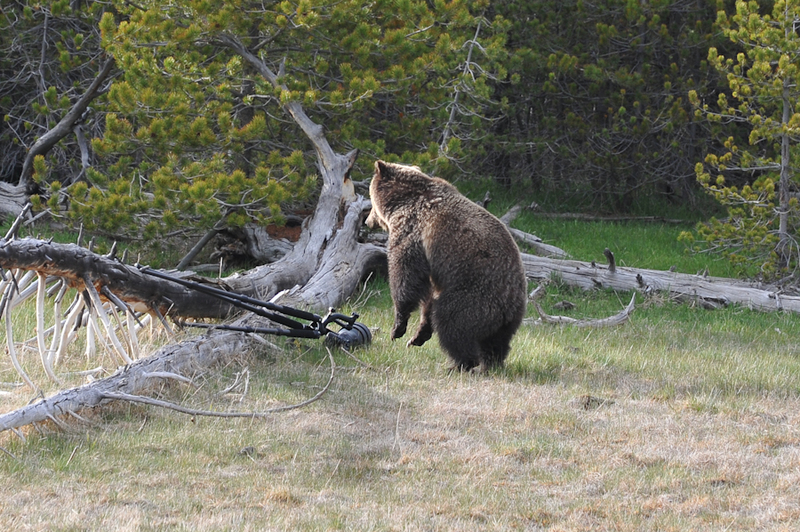 of me, I bumped into a brush pile that I could not lift the tripod over, so I had no choice but to leave the gear and continue away from the bear.